Do you have a small amount of website traffic? You can still generate conversions with these seven tactics. If you’re going to drive conversions for your business, you first need to get people to visit your website. But even after you get a decent amount of traffic, you may still struggle to make sales. And even if your website traffic isn’t particularly high, you can always do better in terms of conversions. Here are seven of the best ways to increase conversions on a low-traffic website. Some of these are well known but often neglected, and they can make a big difference if you give them the necessary attention. Have you ever tried to buy something from a website but changed your mind because it took too long for their web pages to load? Even if you haven’t, you may have changed your mind about reading an article because the page loaded too slowly. Either way, the point is that slow-loading pages can be frustrating. And they may be one of the biggest reasons for your low conversion rates. In fact, according to Kissmetrics, 40% of people will abandon your website if it takes more than three seconds to load. 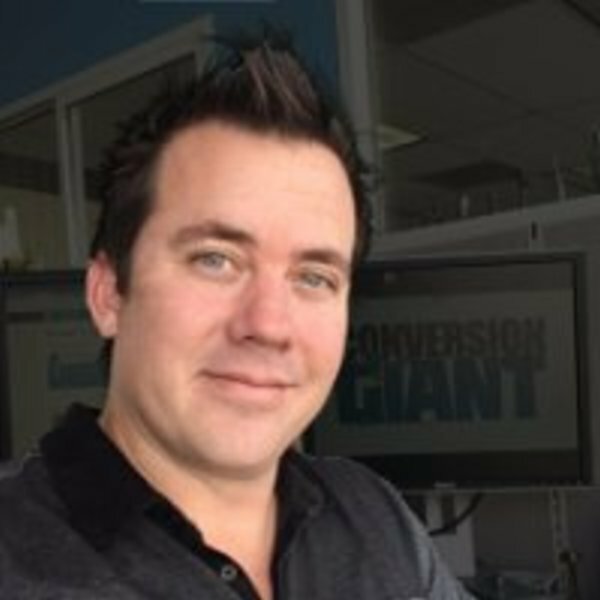 A delay of just one second could drastically reduce your conversion rate by as much as 7%. To increase conversions, and make more sales from whatever amount of traffic you manage to get, it’s crucial that you improve your website speed. Google PageSpeed Insights is an excellent tool for analyzing your site speed. The tool will analyze how quickly your page loads, both on mobile and desktop. In addition to rating the page speed, (out of 100), it will also give you some useful suggestions on what corrections you can make to improve the speed. A poorly designed website might be one of the main reasons why your visitors are not converting. Is your header image too large and distracting? Do users have to pinch to zoom in to read your content on their phones? Or are there so many elements on your site that your visitors end up confused or distracted? Whatever the case may be, you need to take a closer look at your website design to see where you can make changes. You should properly plan the design in such a way that visitors are directed towards the main purpose of their visit – conversions. You can use heatmap tools to track how users are interacting with the various elements on your website during a certain period of time. If you find that certain unnecessary elements are getting a lot of attention, and your CTA buttons are not, maybe it’s time to make some changes. The Nordstrom website is an excellent example of optimized site design. As you can see in the screenshot below, there aren’t any unnecessary elements. They’ve highlighted the, “Anniversary Sale Early Access,” section because that’s where they currently want visitors to focus. The search button is also clearly visible, without obstructing other elements. When you find something you like online, you may read several reviews before you decide to make a purchase. Positive experiences and opinions from your fellow consumers can reassure you that the product/company can be trusted. Similarly, you can reassure your website visitors by displaying user-generated content on your product pages. Ecommerce retailer, Figleaves partnered with Bazaarvoice to see how user-generated content impacted their conversion rate. They noticed that the conversion rate for products with reviews was 12.5% higher than that of products without reviews. And in cases where products had more than 20 reviews, the conversion rate was 83.85% higher than that of products without reviews. The way Figleaves displays their reviews and ratings is also very helpful. Shoppers can see not only the overall star ratings and reviews, but also ratings based on quality, fit, appearance, comfort, and value for money. 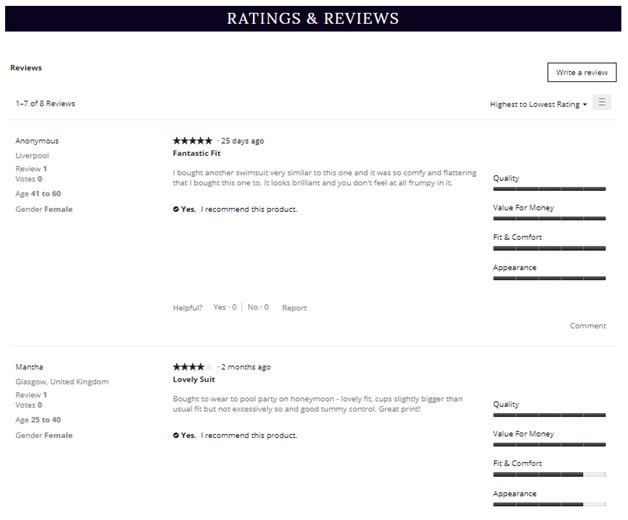 This goes to show that displaying reviews and ratings on your product pages can be an excellent way to win the trust of your shoppers, and get them to convert. Even if you get negative reviews, don’t hesitate to display them because you’ll be showing your shoppers that you’re not trying to hide anything from them. 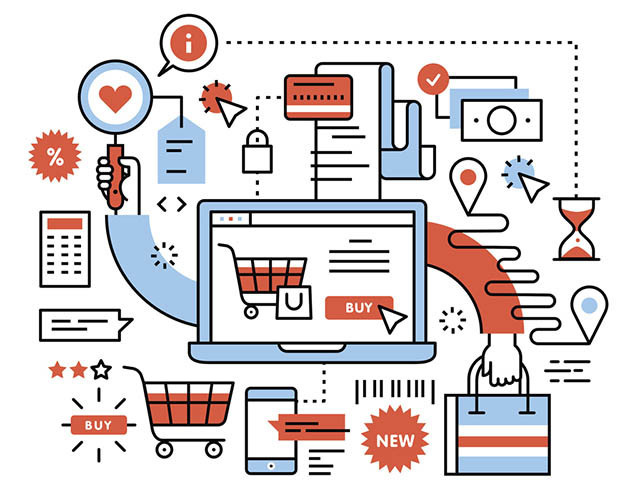 If a visitor to your website is interested in your products, and adds items to their shopping cart, they still may not complete their purchase. The Baymard Institute collected data from 37 shopping cart abandonment studies and found that ecommerce websites have an average cart abandonment rate of 69.23%. According to the research, complicated checkout processes and compulsory signups were among the top reasons why people abandon their carts. So if you want to drive more conversions on your low-traffic website, it’s important that you optimize, and simplify your checkout process. First of all, consider giving people the option to checkout as a guest. If you make signing up compulsory, at least give users the option to register using their social media accounts. Then they’ll be able to complete the registration process in a single click. Pura Vida Bracelets, for example, gives their customers the option to sign up using their social media accounts. In addition to guest checkout and social media registration options, you should also simplify your forms by removing any unnecessary form fields. Another way to optimize your checkout process is to display a progress indicator during checkout to show shoppers how many steps are left to complete their purchases. That sets realistic expectations, and can help prevent people from abandoning their carts. We’ve talked about how adding user-generated content boosts trust. And you probably already know that trust is an important factor that influences people’s purchase decisions. You wouldn’t buy something from a brand or website you didn’t trust, would you? To increase conversions on your website, enhance your trust signals to ease your visitors’ anxiety about shopping from you. The goal is to provide your shoppers with a sense of security, and let them know that they can trust you. You can do this by including a few website elements to show your customers that their transactions and activities are secure. According to a ConversionXL study, website elements like the logos of Visa-Mastercard, PayPal, Norton, BBB, and McAfee were among the most trusted. You can also add your own trust seal, and highlight some of the reasons why people should order from you. 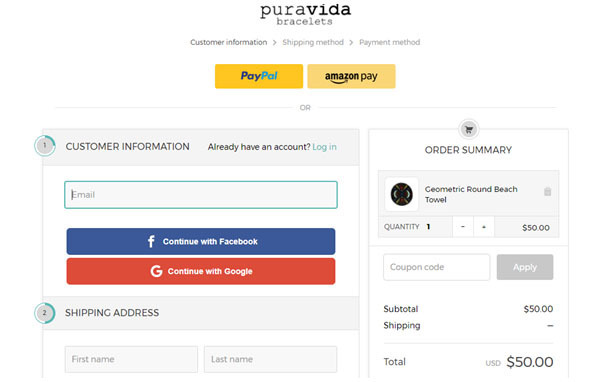 In the screenshot below, you can see the shopping cart page of Pura Vida Bracelets. They’ve added a 100% satisfaction guarantee seal and listed some of the reasons why people should trust them. They also mentioned that their checkout process is 100% secure, which can ease the doubts and anxieties of many shoppers. Additionally you should think about moving to https if you haven’t already done so. The SSL (Secure Socket Layer) certification will ensure that your customer info such as login credentials, bank info, personal details, etc. will be transmitted securely. After getting SSL certified, there will be a green bar with a padlock and an https instead of an http as shown in the screenshot below. The CA Security Council found that 53% of consumers believe the padlock signifies that the site is more trustworthy. And 42% of consumers understand that there’s more safety on websites with a green bar. While you may be satisfied with the amount of traffic you’re currently getting, sooner or later, you’ll need to start aiming for growth. To increase revenue, you need to invest some of your time and effort into tactics that will increase your traffic. An increase in traffic will also give you more opportunities to make more sales. Once you’ve followed the previous steps, it’s time to start looking for ways you can optimize your website further for better visibility in the search engines. That begins with the keyword optimization of your website content, and this should be an ongoing task. The goal is to make sure your individual product pages and website rank among the top results for relevant searches. The Wordtracker keyword research tool is an excellent resource for keywords because it’s effective and easy to use. It’s great for long tail keywords so you can dig into the language of your potential customers, and also shows Amazon keywords which is perfect for retailers. Another effective method of driving traffic and conversions is through display ads. You can target people who share the same characteristics as your best customers. This means the people you’re targeting will be relevant for your brand or business. And that improves the chances of getting them to visit your site, and convert once they’re there. You can invest in social media advertising, and showcase your products to relevant users. You can also retarget people who have visited your website and left without making a purchase. 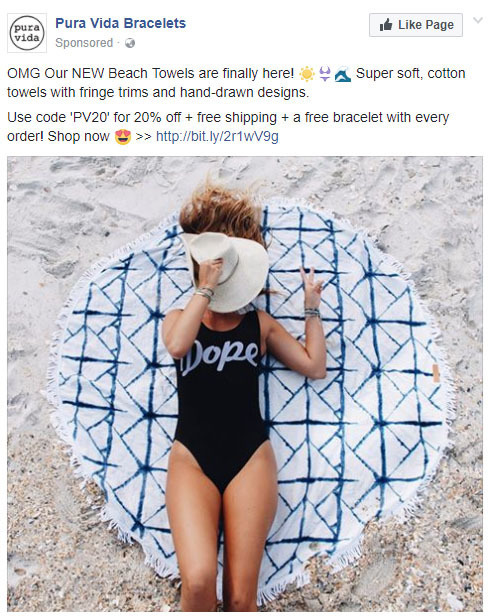 Let’s look at another example from Pura Vida Bracelets, as they display social media ads to users who have visited their website. For social media ads, make sure that you invest in ads on the social media channels that your target audience uses most. 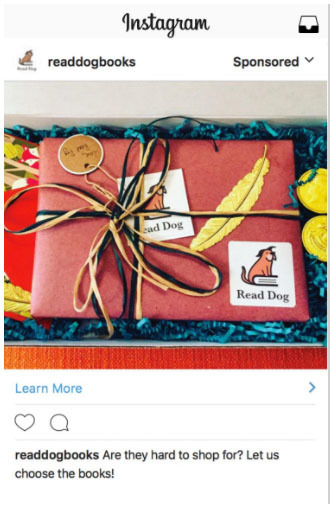 Monthly book subscription service, Read Dog Books, invested in Instagram and Facebook advertising to reach a relevant audience. They targeted people based on their website visits and form submissions, and displayed colorful ads featuring their products to them. The Instagram ads alone helped the brand increase the amount of paying customers threefold. And they got twice as many email leads with the help of Instagram advertising. Their return on ad spend increased seven times for both Facebook and Instagram. Additionally, Instagram has now introduced Stories ads, which will display ads through Instagram Stories. Unlike regular Instagram ads, these will take up the entire screen, but as with your regular Instagram Stories you can include links at the end of your ad to direct visitors to your site. You can then create a strategy in which this ad shows up in the Explore page of relevant users such as those who share similar characteristics as your top customers or visitors who left without making a purchase. 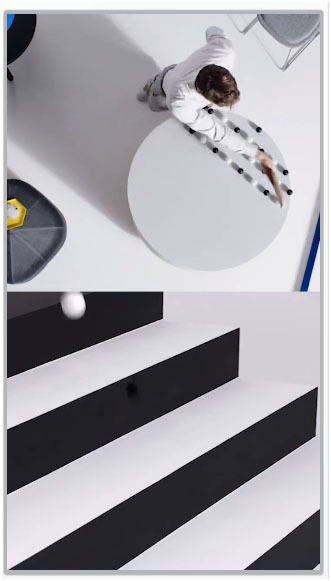 Brands like YOOX have implemented Instagram Stories ads and experienced a 6-point increase in brand awareness. These are seven of the most effective ways you can increase conversions on a low-traffic website. Some of these tips will help you increase traffic, which is crucial if you wish to improve your conversion rate. The most important rule is to make sure your website visitors have a pleasant experience interacting with your brand. They should be able to load your web pages without waiting too long. And they should be able to easily find what they need, and complete their purchases without hassle.